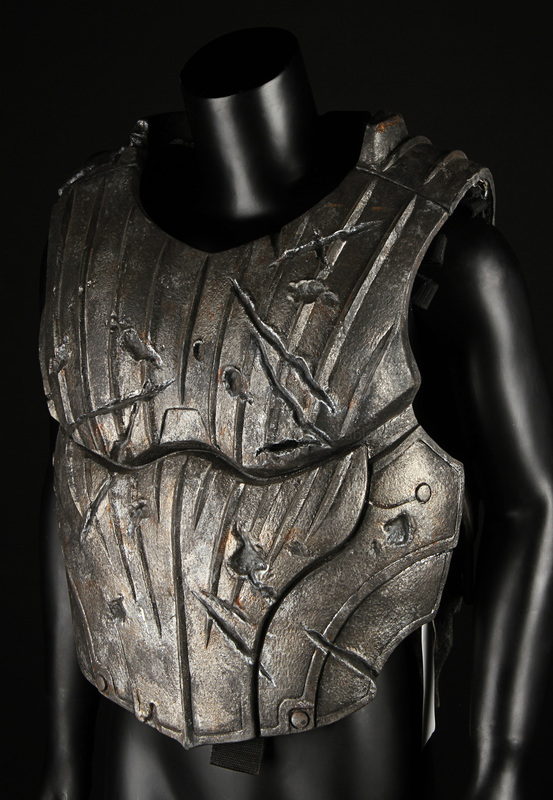 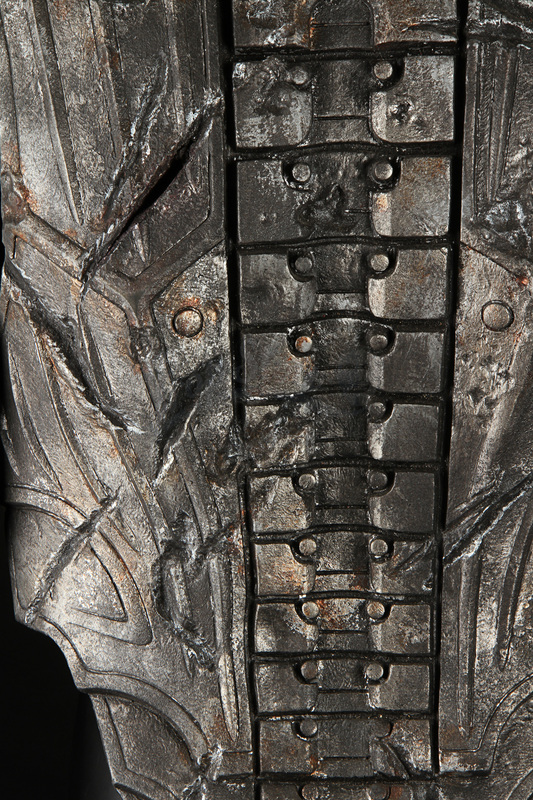 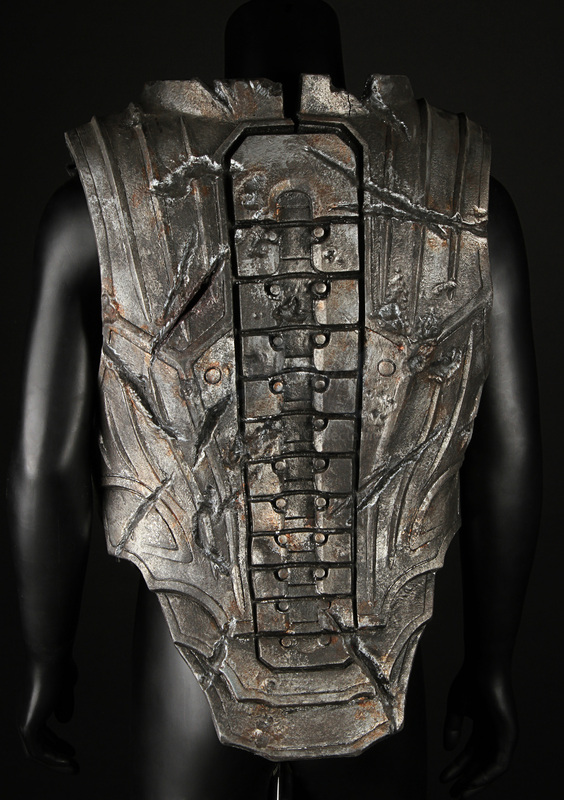 A set of Necromonger chest armour worn in the production of the electrifying Vin Diesel sequel The Chronicles of Riddick. 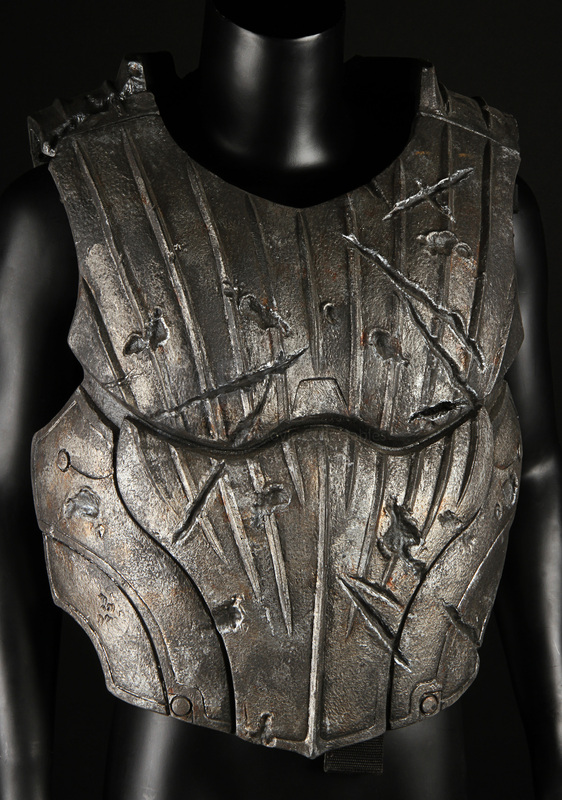 This chest armour was worn by Irgun (Mark Gibbon), who was the Lord Marshal’s greatest one-on-one fighter. 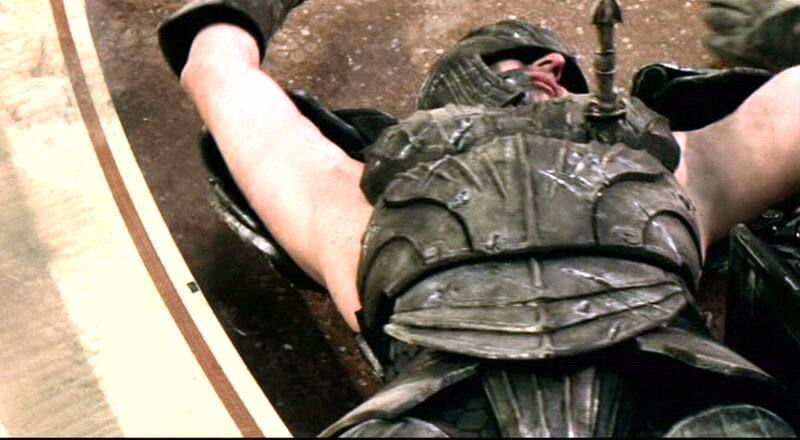 The warrior had a knife planted in the side of his armour, which Riddick pulled out to kill him in the arena on Helion Prime. 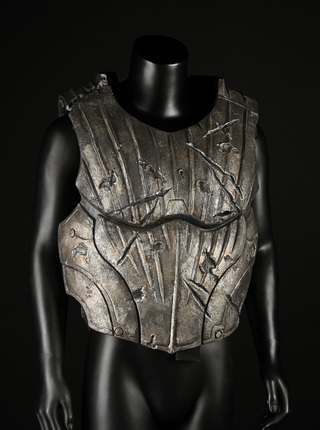 Made of rubber with Velcro strapping, the chest armour is heavily distressed with battle damage from Irgun’s many engagements, including the hole where the knife had been planted into his armour. 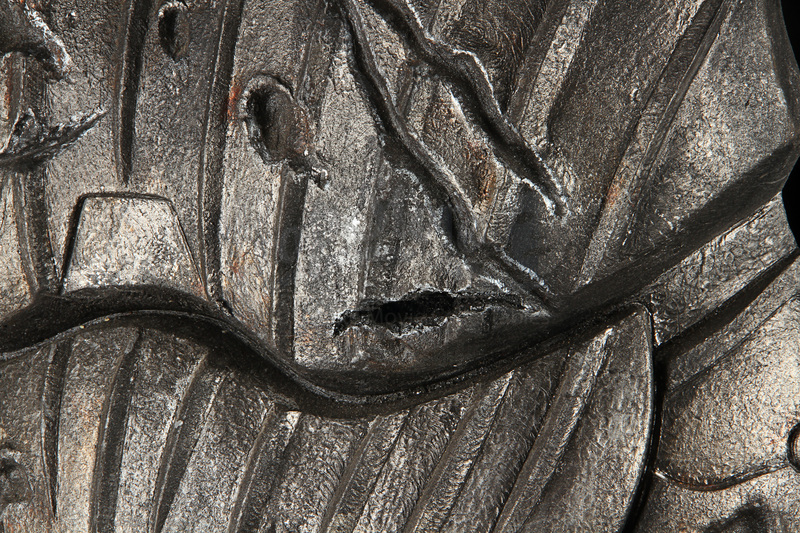 Displaying some minor wear from use, the piece remains in very good condition. Dimensions (effective): 68cm x 48cm x 28cm (26.77” x 18.9” x 11.02”). 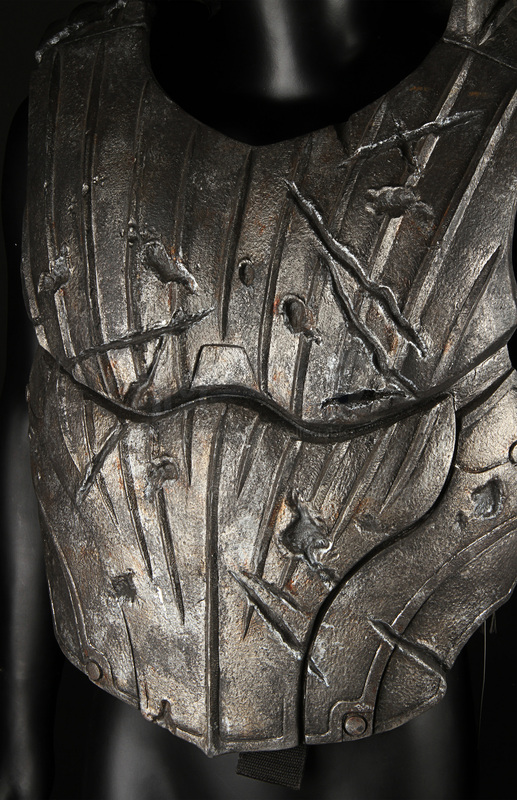 Materials: Rubber, Man-Made Woven Fibres.